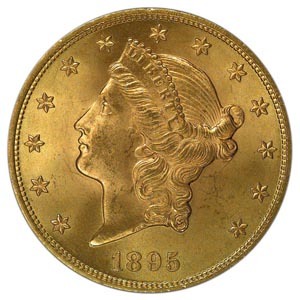 America's largest circulating gold coin was the Double Eagle or $20 gold piece, born in the exciting years of the great California Gold Rush of 1849. 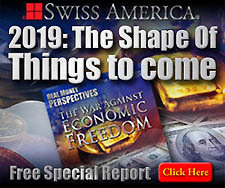 The new mines yielded the greatest mass of gold in recorded history. 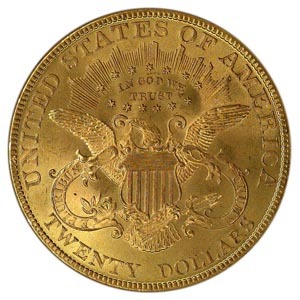 Vast quantities of the yellow metal helped to speed development of the American West and had far-reaching effects on the world's coinage. Designed by James B. Longacre, the obverse (front) of the $20 Liberty gold coin features Miss Liberty wearing a crown inscribed with the word "Liberty". Thirteen stars representing the original thirteen colonies and the date encircle her.